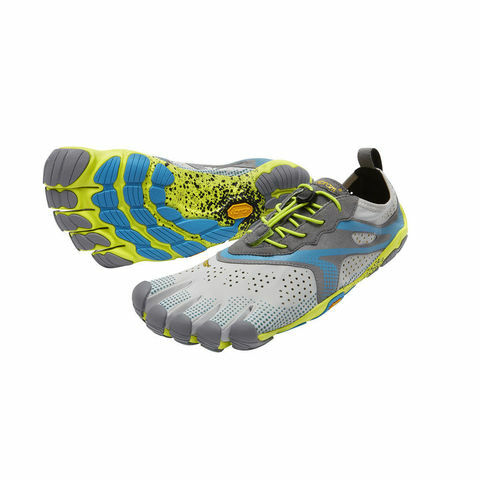 V-Run for Men is an ideal running shoe for those making the transition from traditional footwear to a more minimalist approach. Featuring a soft, perforated upper to maximize breathability, V-Run is very comfortable. The thin sole construction lets you feel your run, connecting you to the true barefoot running experience. 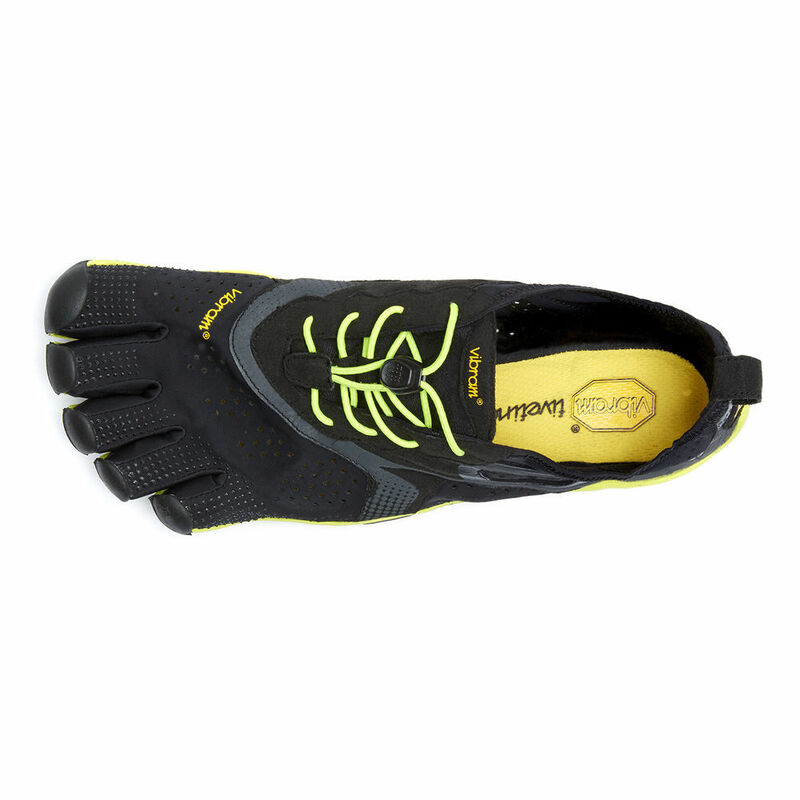 Vibrams primary design function for the V-Run is for all types of running and in particular road running and gym/treadmill. 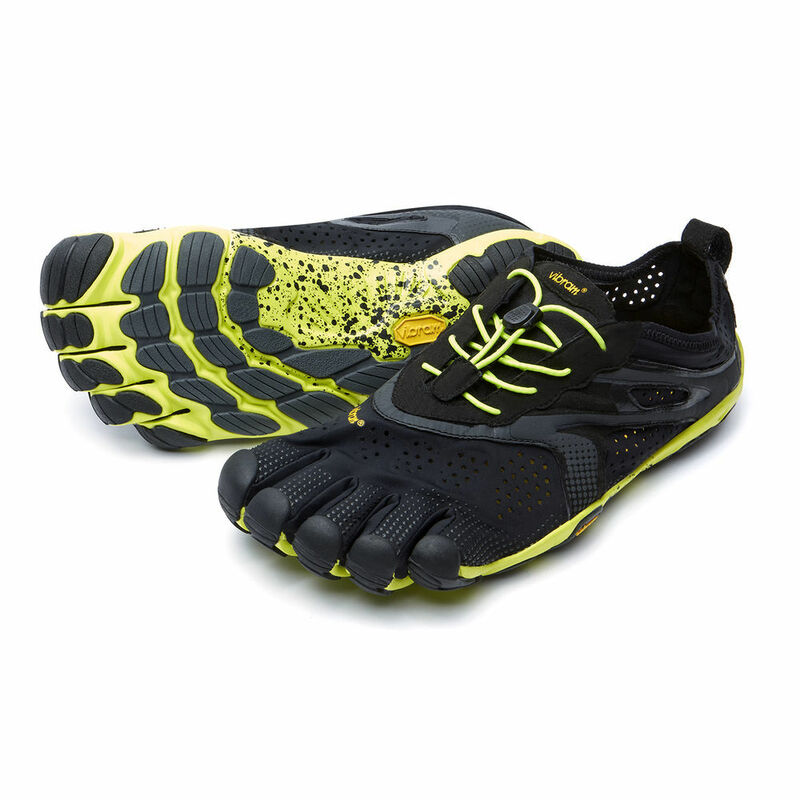 The special Vibram compounds in the sole offer endurance grip and comfort. The upper has a secure speed lace fastening system and breathable and lightweight upper. Can be worn in full replacement of a conventional trainer or as part of, for example a strength and conditioning training program. 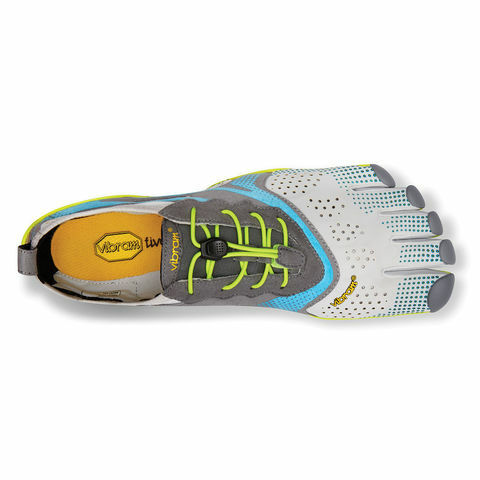 Designed to compliment and flex with the natural movements of your feet. 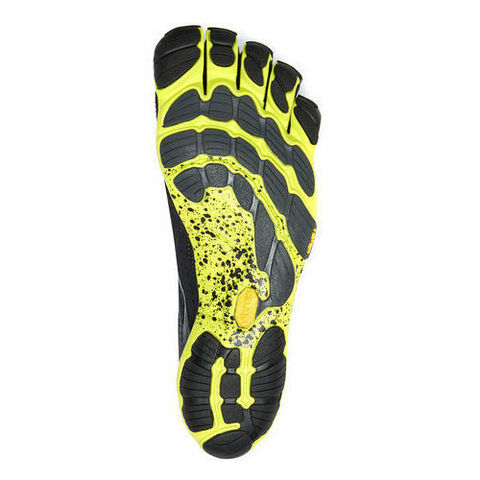 The sensory feedback known a proprioception can allow your brain to make better quicker decisions when foot planting. Vibram® XS RUN provides a maximal stable hardness across a broad temperature range and the softness of the compound allows for expansive ground contact and grip across lug surfaces. 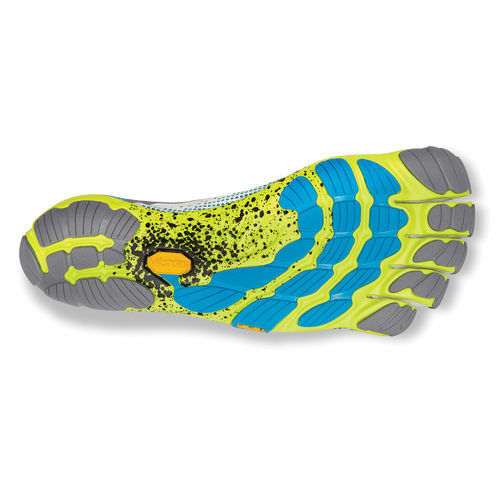 XS RUN also provides high grip on smooth surfaces. Vibram MONT® compound formulation is optimized for mountaineering, trekking, acrobatic, works and motorbike racing. MONT is used to conquer the highest peaks in the world by offering the highest reliability on the most difficult terrain at low temperatures.